The Traders Hotel in Puteri Harbor at Johor was the venue for the IFM 100 Leaders Conference. 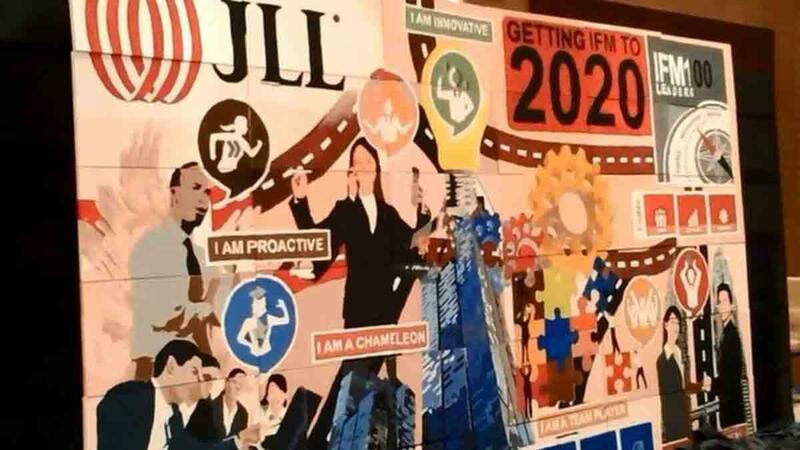 With the aim of creating unity and a visual identity for the conference, 120 leaders from Jones Lang Lasalle participated in the collaborative team building activity The Big Picture. To get things moving after lunch on the first day of the IFM Leaders conference 120 leaders from Jones Lang Lasalle were briefed on the execution, flow, objectives and rules of the Big Picture team building activity by Catalyst Global partners in Malaysia, Asia Ability. The group was then divided into 6 teams. 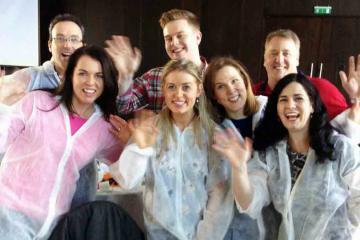 Supplied with canvases and a painting guide teams put on their coveralls ready to get started on their painting task. Before they could commence, teams participated in a coverall race and a series of quizzes in order to win bushes, paints and pots for their task. They soon realized that they must collaborate with neighboring teams in order for the canvases to fit together into a final cohesive big picture. They quickly understood the key of cooperation with the other groups and soon the activity room was buzzing with movement and life as the participants went around asking for different colors and to match their canvases with those of other groups. While the participants took a short break, in a separate room the canvases were secretly pieced together by facilitators Asia Ability ready for the final reveal. The participants gathered in excitement, eager to see the results of their hard work. After a short countdown, the Big Picture was revealed to thunderous applause and gasps of awe. 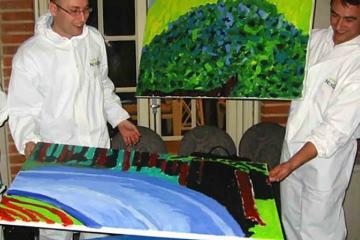 All 36 canvases had been pieced together to form a huge painting and the participants got to see how their own canvases contributed to The Big Picture. With the official end of the activity, the participants continued to linger before the Big Picture, reflecting on the event and appreciating the success of their joint effort. Participating in The Big Picture, delegates learn the importance of coordination and communication not just within their own team, but also across departments and groups. 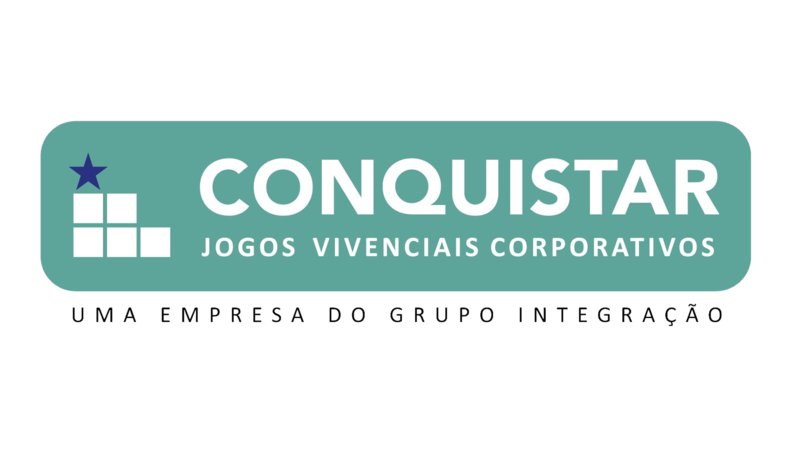 The activity also signifies the importance of not only doing your own part well, but also ensuring consistency and alignment with the other groups who share the same goal. 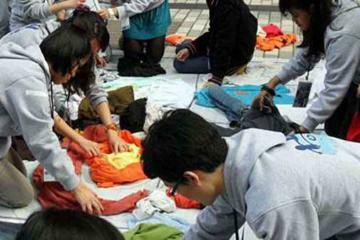 International Youth Organization participate in Rags to Riches to give recycled cloths to charity.